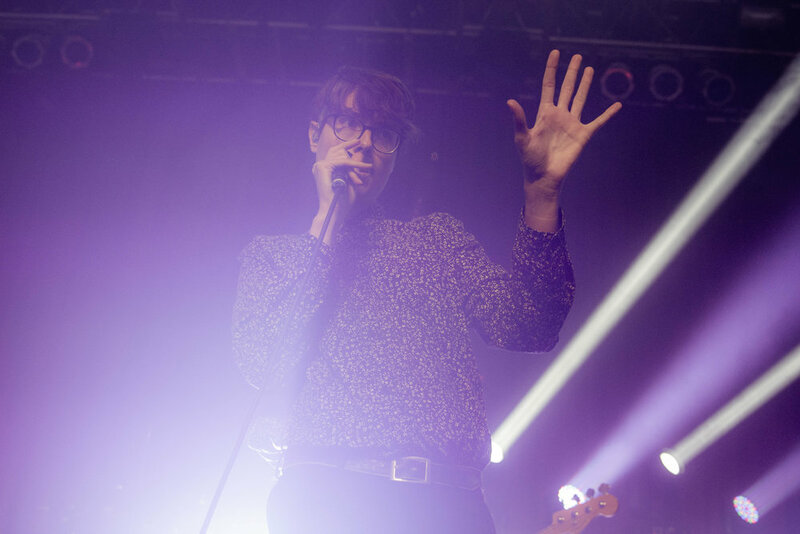 On All Hallow’s Eve, fans packed the House of Blues to catch a co-headlining tour from Rochester’s Joywave and LA’s Sir Sly. 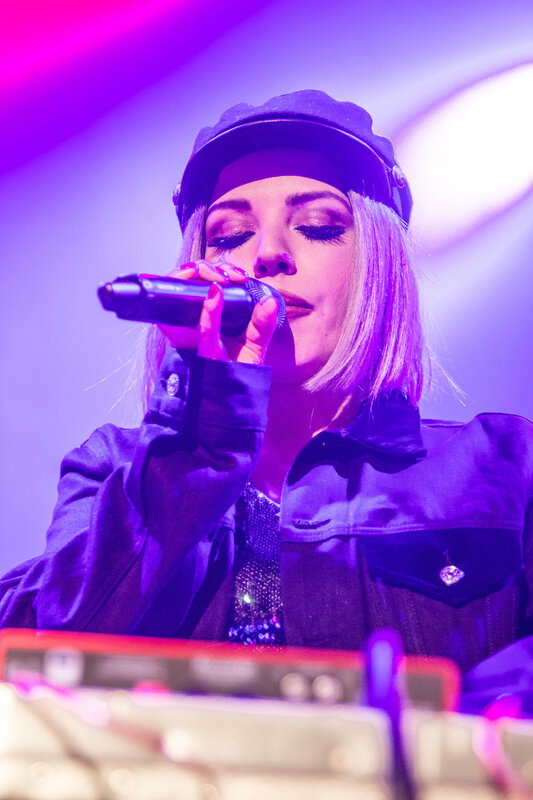 After husband and wife duo from Minnesota and Sweden, respectively, Flora Cash warmed up the stage for the evening’s co-headliners, Joywave made their long awaited and highly anticipated return to a Chicago stage, rushing out to a startling swirl of lights. Along with the flood of overhead lights, the band set the night off with a bang, opening with the appropriately titled single “Blastoffff,” which just came out this Summer and features a heavy bassline and explosive chorus. 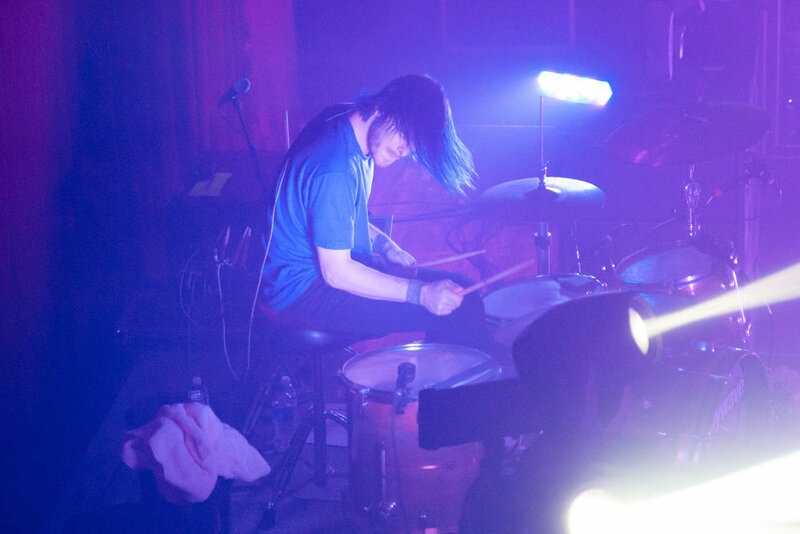 Massive light boxes with phrases like “Applause,” “Jump,” and “Vape” sat behind the band, adding even more glimmer to the bright production set up. The group kept the momentum going by following up with “Somebody New” from their 2015 album, which also features in-your-face bass. 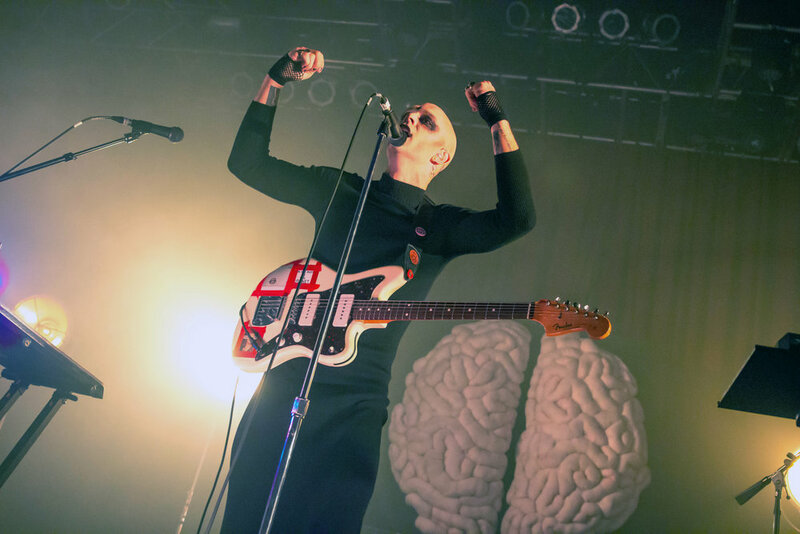 Of course, with it being Halloween, Joywave added some spookiness to their set by donning costumes onstage, but they really upped their Halloween game towards the end of their set. After playing nearly an hour long mix of songs from 2015’s How Do You Feel Now? and 2017’s Content, their set began to wind down with “Tongues” from the former. During the second to last song of their set, one of the band’s friend crashed the stage dressed as the devil to help them finish out the song, which immediately segued into their closing song “Destruction.” The set’s finale had the whole room jumping in unison, causing the floor at the theatre to bounce. 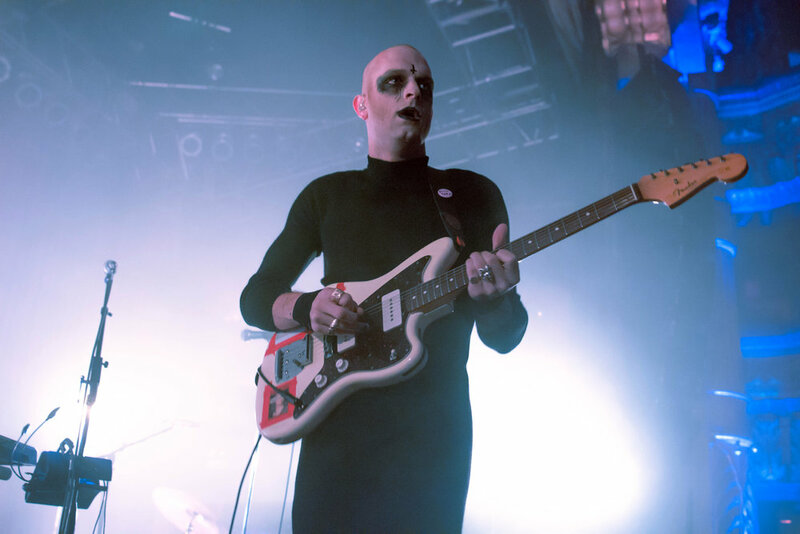 Closing out the night, Sir Sly— or Disturbed, as Joywave’s Daniel Armbruster had teased their Halloween costumes earlier in the night— took the stage rocking full goth makeup and black outfits. As they began their first song, their latest and unreleased track called “Welcome The Pressure,” the room filled with a haze of fog, going along with the dark and spooky vibes of the night. 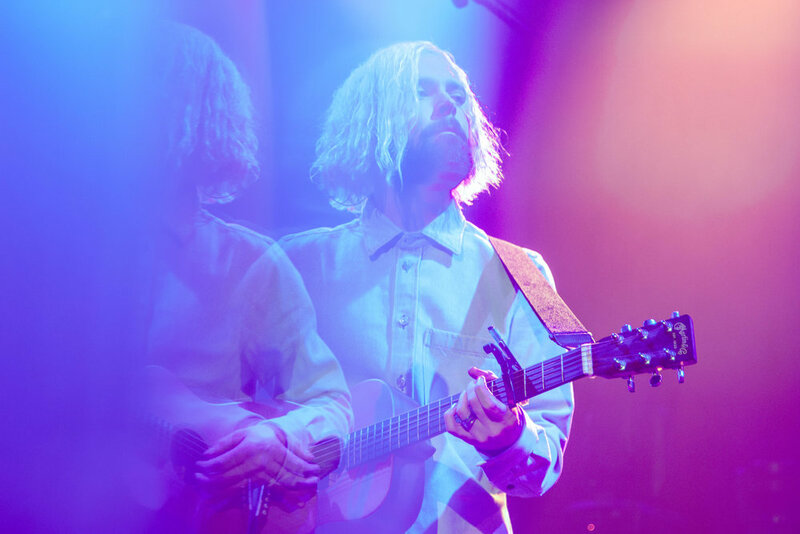 Frontman Landon Jacobs and his bandmates Hayden Coplen and Jason Suwito had last been to Chicago just a couple months prior to play Lollapalooza, one of the many festivals the band hit on their Spring and Summer tour runs. 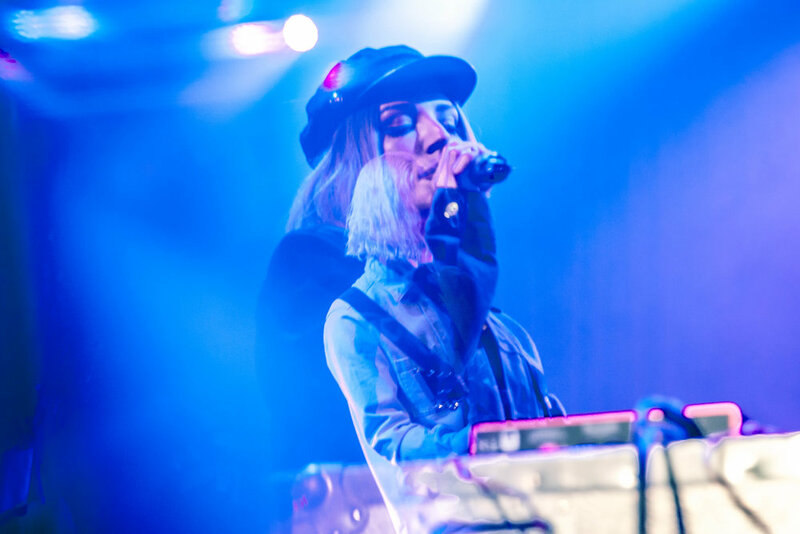 Chicago warmly welcomed back the LA trio, with the full house loudly singing along to Sir Sly songs old and new, and Jacobs couldn’t help but break out of his dark demeanor to show his appreciation. “Have you ever seen a goth this smiley?” Jacobs asked the crowd, beaming about the fact that this show marked their biggest headline show in Chicago to date. Throughout the rest of the set, the three piece kept a heavy focus on the fact that it was Halloween, but their usual goofy personalities also continued to shine through. “I didn’t wear makeup for nothing,” Jacobs also joked when asking the crowd to go as hard as they could for the rest of the night. 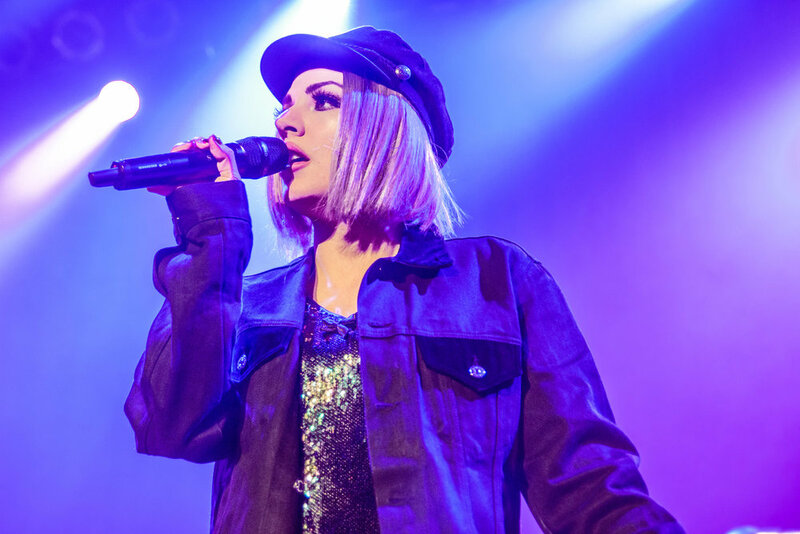 The audience didn’t disappoint and kept their energy high to match the momentum of songs like “Trippin’” and “Change” from 2017’s Don’t You Worry, Honey. Jacobs kept the latter fresh and unique to this show by delivering a one-off monologue during the bridge, which has changed every time I’ve seen them on this album cycle. The band also kept their Halloween show special by giving the audience a rare “choose your own adventure” option after performing another one of their aptly spooky songs “Ghost” from their debut album. Jacobs gave the crowd the choice of either hearing a sad song with a speech introducing it, or hearing another Halloween song. Of course, the votes swayed towards the second option and the band played “You Haunt Me,” the title track from their 2014 debut. The eerie mood continued throughout the rest of the night, when Jacobs introduced their single “High” by saying it was based off the scariest thing that’s ever happened to him. “I got too high in a hotel room and I thought I was gonna die. Here I am still standing, but I tasted a little bit of death,” he said before launching into the song. 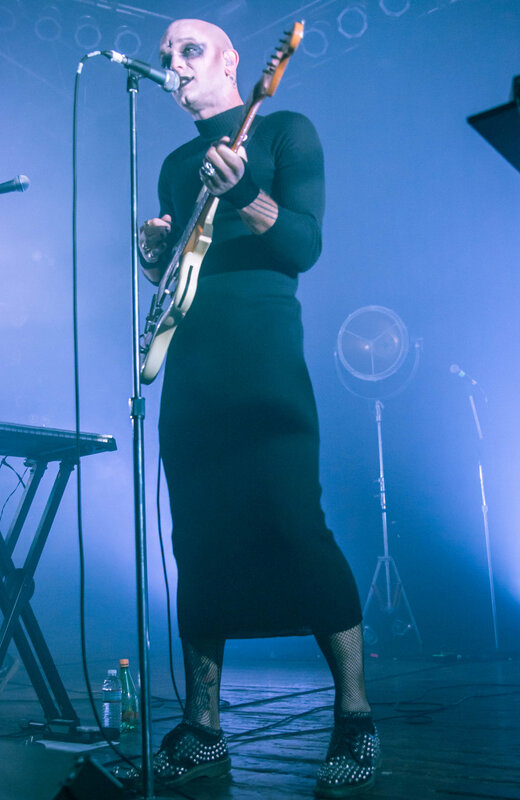 The song once again had the room jumping so high that the floors would shake, but Sir Sly didn’t let the mood die down; instead they launched into an immediate encore performance of the popular single, feeding everyone a second dose of “High.” The night ended with “&Run,” another high intensity single, which the band performed with a fleshed out live arrangement, stretching out the ending with a crescendoing finale. Every time I’ve watched Sir Sly perform, they leave everything they’ve got on the stage, pouring themselves into the performance in such a genuine fashion. It’s only a matter of time before they’re headlining bigger shows and getting more of the attention that they deserve as artists. 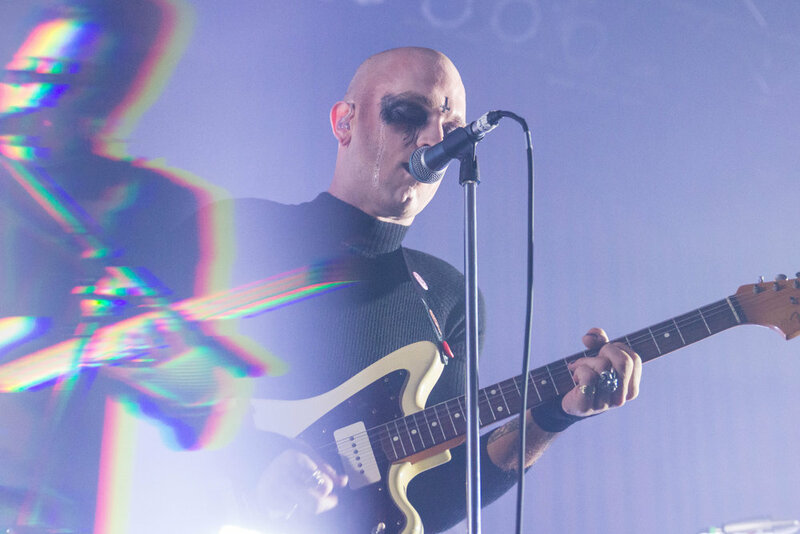 If you missed out on the Halloween festivities, check out our photo gallery of all three bands below, and see where you can catch Sir Sly next here.